In this original work, the Mexican political philosopher, Maria Pia Lara, develops a new approach to public sphere theory and a novel understanding of the history of the feminist struggle. When dominated groups create publicly-oriented social movements, she argues, they seek to frame their demands in compelling narrative forms. Through these new tales, they can become, for the first time, active subjects in their own stories. Developing this theoretical model, Lara offers new interpretations of Habermas and Arendt as well as of feminist debates about their work. Critically relating Wellmer's and Ricoeur's aesthetic ideas to public sphere theory, she also confronts the limitations of the Foucaultian tradition that informs so much post-structuralist feminism today. In making her argument, Lara examines a very wide range of women's narratives, from autobiographies of eighteenth-century salonnieres and of contemporary women activists to the novels of Jane Austen and the portrayal of women in television and film. 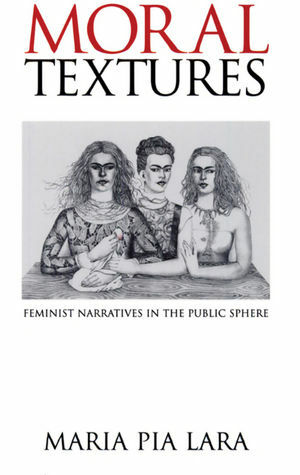 Taking stock of contemporary feminist writings in social science, history, literature, jurisprudence and philosophy, she suggests that they can be viewed not only as empirical accounts of injustices but as cultural narratives that have transformed women's particular identities even as they have expanded universal moral claims in a revolutionary way. Part One. From the Aesthetic to the Moral Sphere. 1. Autobiographies and Biographies: the Construction of Women's Identity. 2. Communicative Rationality: Between Spheres of Validity. 3. Feminism as an Illocutionary Model. 4. Autonomy and Authenticity as Textures of the Moral Subject. 5. Narrative Cultural Interweavings: Between Facts and Fiction. Part Two. From the Moral to the Political Sphere. 6. Justice and Solidarity: Women in the Public Sphere. 7. The Moral Foundation of Recognition: A Critical Revision of Three Models. 8. Feminist Models of Recognition: Problems of Multiculturalism. * Develops a new and original approach to the public sphere, democratic politics and feminism. * Includes a systematic re-interpretation of the work of Jurgen Habermas, Hannah Arendt and recent feminist debates about the relevance of their work. * Clearly and accessibly written, the book draws on a number of sources taking stock of contemporary feminist work in social science, history, literature, jurisprudence and philosophy. * It will appeal to a wide range of readers including those interested in feminism and literary theory to philosophers of justice.